TECHMED SOLUTIONS, INC. delivers Reliable, Sustainable and Quality Transportation, Rigging, Installation and De-Installation of Medical Equipment nationwide at competitive prices and economic value to our customers. Established in 2002, TECHMED SOLUTIONS, INC. achieved its ISO 9001:2000 Certification that same year, and has been proudly re-certified every year since. 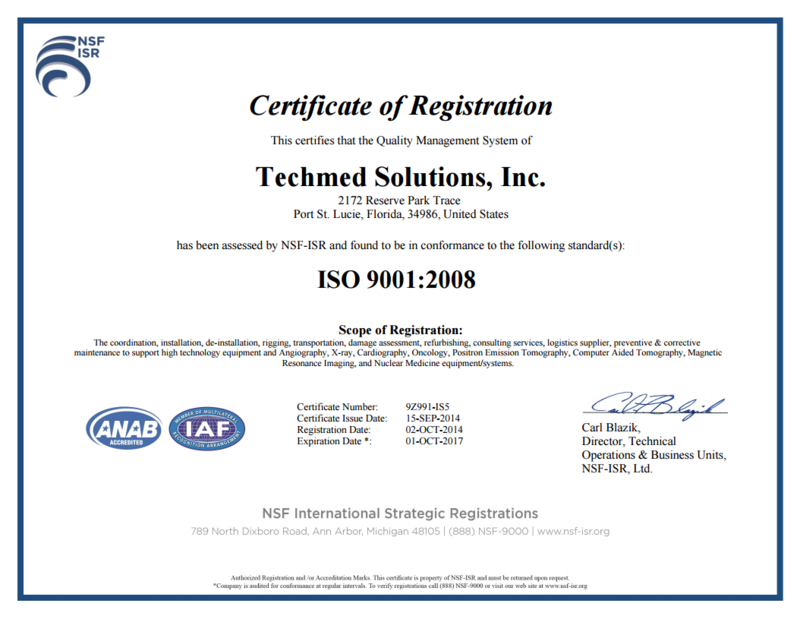 TECHMED SOLUTIONS was most recently re-certified under ISO 9001:2008.